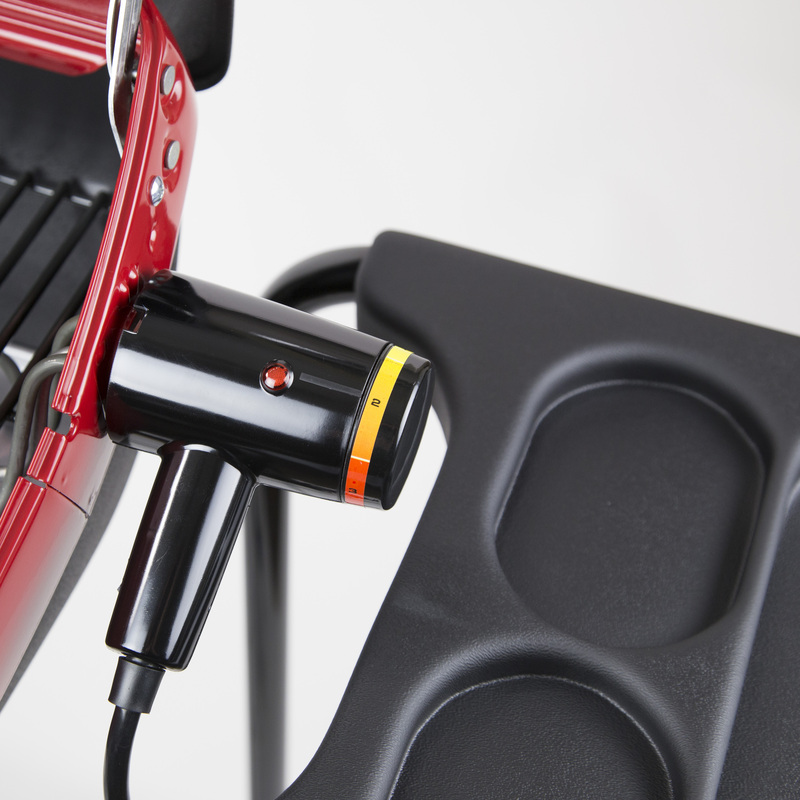 Americana Electric Cart Grill is perfect for easy, fast and tasty outdoor grilling. 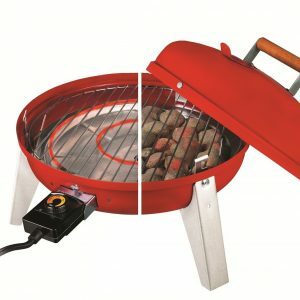 If you’ve never used an electric grill before, you’ll be surprised by the awesome flavors this grill delivers. 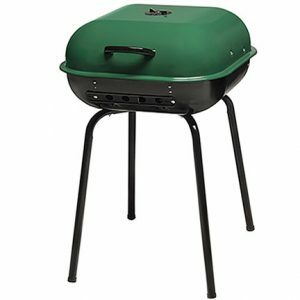 Unlike indoor electric grills, The Americana Electric Grills use a specially designed reflector pan to create smoky vapors to infuse your recipes with maximum taste. 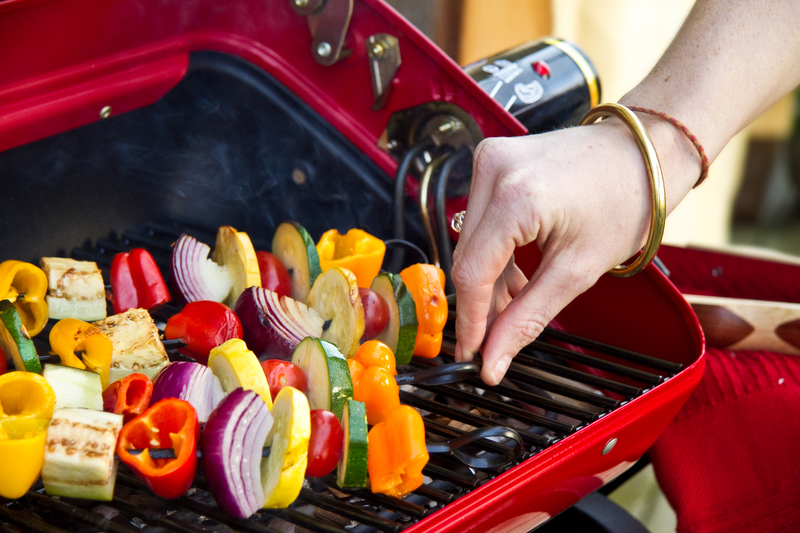 Use your electric cart grill with hickory, apple, cherry, or mesquite wood chips to enhance your recipes with the extra flavor. Simply soak your favorite wood chips in water for about 20 minutes, place them in a perforated aluminum foil pouch, put the pouch on the reflector pan and enjoy the smoky goodness. 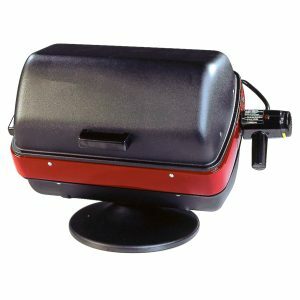 Mounted on a sturdy cart with large easy-rolling wheels the Americana Electric Cart Grill gives you a portable 1500-watts of grilling power. 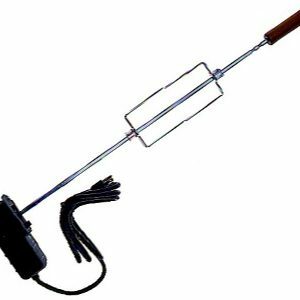 Its 200 square inch usable cooking surface feature precision temperature control with a variable thermostat controller. 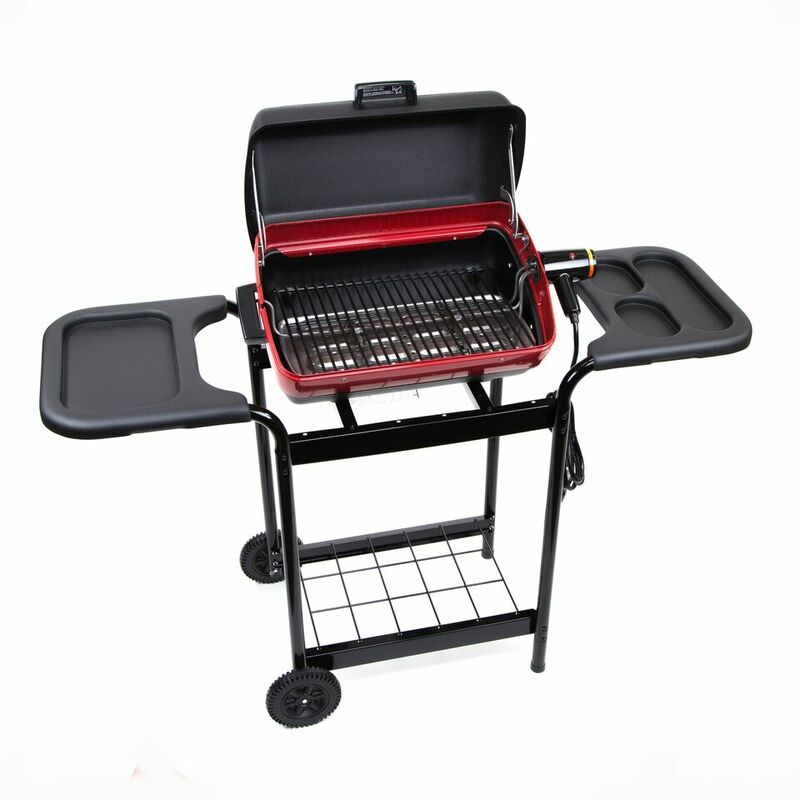 With three heating positions, this grill is capable of (1) creating a zone of even heat for traditional grilling, (2) creating a versatile zone of different temperatures for cooking medium, rare and well-done simultaneously and (3) converting to a fully vertical position for rotisserie grilling (rotisserie sold separately). 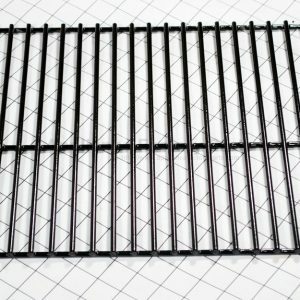 The safe, UL and CUL-listed heating element is combined with a convenient indicator light so you know whether your grill is on or off. See what’s cooking through the high-temperature glass viewing window. Hood and bowl come pre-assembled in satin black with BBQ red accents. Handy side tables and a wire lower shelf let you organize cooking supplies. Molded recesses in the side tables hold condiments. 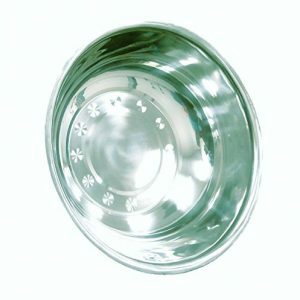 Ideal for deck, patio or other outdoor kitchen area, it features easy clean-up with a removable grease cup. Uses a standard 120-volt grounded plug. Three-position cooking element. 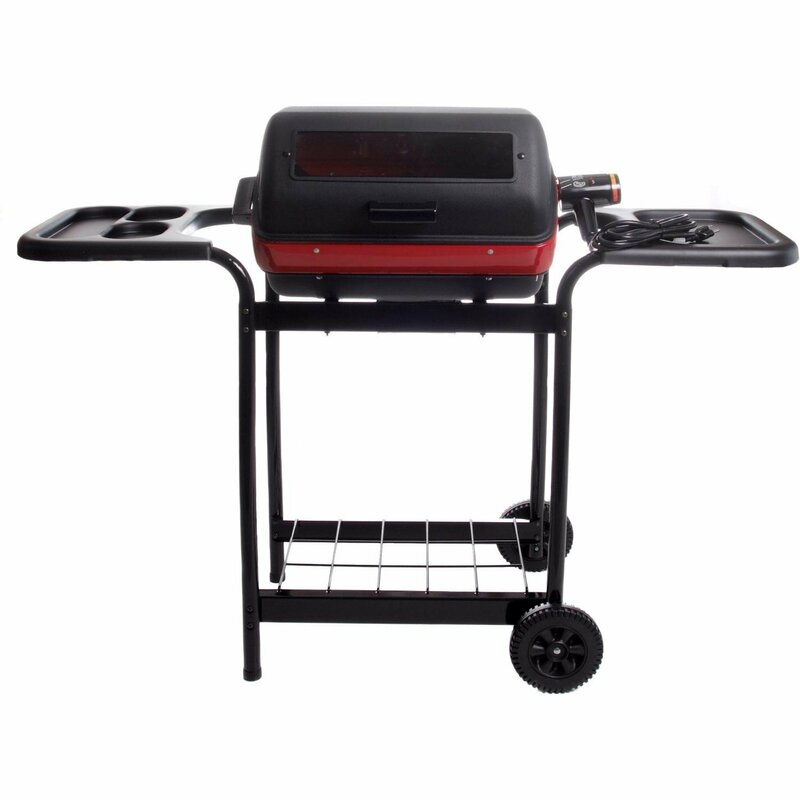 Along with its durable polymer side tables and window, this grill’s three-position element and rotisserie (sold separately) cater to your every need. 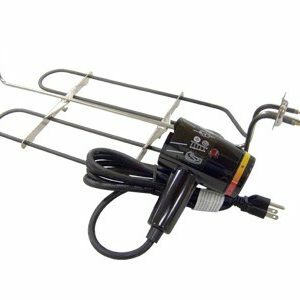 With its thermostatic control and 1500-watt, UL and CUL-listed heating element, this grill plugs into any standard household outlet. 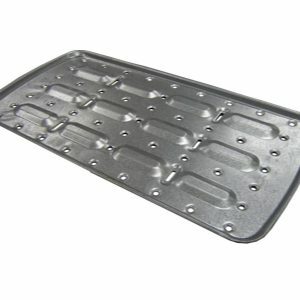 A disposable grease pan catches grease and makes clean-up easier.